Extreame Savings Item! Free Shipping Included! 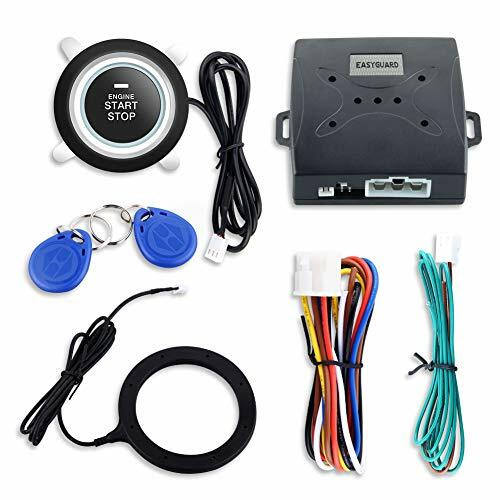 Save 47% on the EASYGUARD EC004 Smart Rfid Car Alarm system Push Engine Start stop button & Keyless Go System Fits for most DC12V cars by EASYGUARD at Nebula Fia. MPN: EC004. Hurry! Limited time offer. Offer valid only while supplies last. Dear customer, This is a simple and easy to use EASYGUARD EC004 RFID car alarm system with push button start stop button for dc12v vehicles. This is a simple and easy to use EASYGUARD EC004 RFID car alarm system with push button start stop button for dc12v vehicles. The item come with English user manual & installation guide. Professional car alarm installer installation is highly recommended, if the item is not properly installed, it may stop working easilly. please kindly note. Wiring diagram is available for reviewing upon request. 1. Arm: Shutoff the vehicle, the system will automatically enter arming mode after 50 seconds.